FinerWorks recommends you store your unframed prints in clear plastic bags for achievability and safe storage. These bags are acid and lignin free and contains 10% recycled polypropylene. They are ideal for protecting your work from finger prints, smudging, dust and scratches as a result of casual handling or storage while also increasing the perceived value of the print. Each bag is meant to hold one print. All, except the 20x30 are resealable. Product Availability Backlogs frequently occur on various sizes due to other businesses clearing out our inventory. In those cases there may be week or two delay in shipping your clear plastic bag order until we have them in stock. If you are ordering prints from us with extra borders, make sure you account for the extra border amount so your prints will fit. 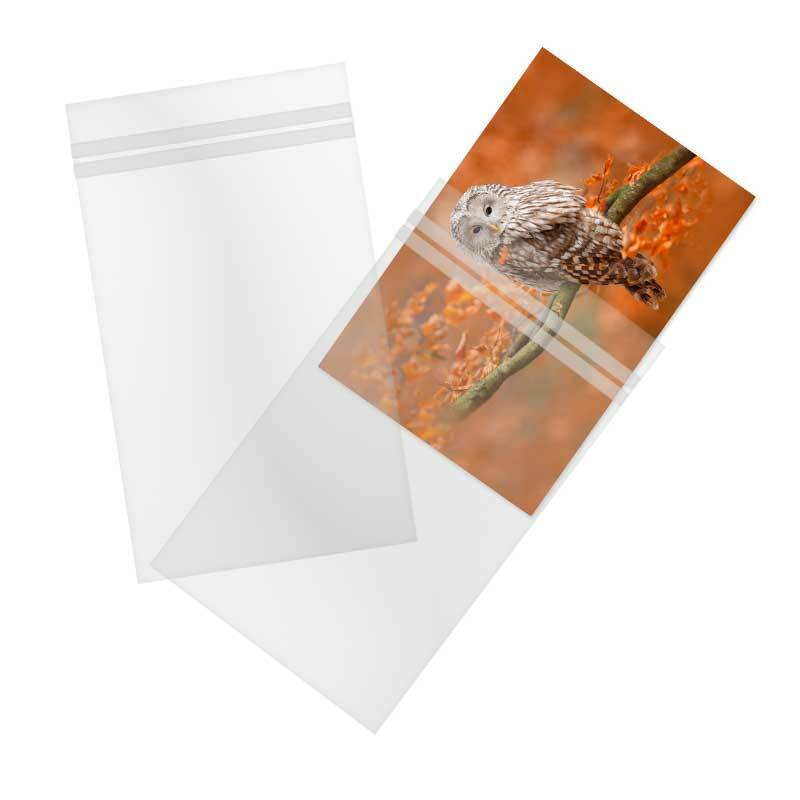 Occasionally customers will purchase clear plastic sleeves at a certain size and forget about the overall sheet size of the print. For added protection, use corrugated cardboard sheets within the sleeves and behind the print. This will give your prints extra support if you are placing them on display for purchase.